On our “learn to play golf in a weekend” you will have the opportunity to stay in our gorgeous lakeside studio, Digby’s Den, helping you to leave the stresses of work and home behind so you can concentrate on the new skill you have chosen to master. The ability to play golf can open up so many opportunities. It’s such a wonderful sport and is a fun activity that can be shared with all members of the family. Learn to play golf – Golf is a game for all ages and abilities, and with expert advice from our resident Golf Professional Adrienne, you’ll be out enjoying our stunning golf course from the outset. Having taught golf for nearly 30 years, ‘Adie’ has a wealth of experience and knowledge to help you through your first stages of playing golf. Meet Adie – Previously a successful player on the LET (Ladies European Tour), Adie now focuses on her passion and talent for delivering first class golf lessons. 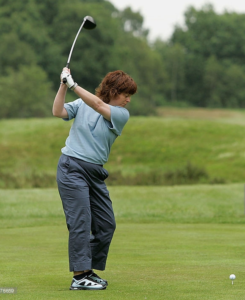 She is a PGA (Professional Golfers’ Association) Advanced Professional who is skilled in all aspects of teaching golf and has vast experience in nurturing all abilities, from complete beginners to established golfers. Plan of action – Adie strongly believes that everyone has an aptitude for golf, and so is eager to introduce this wonderful sport to all. She loves having the opportunity to nurture talent, improve ability and generally increase people’s overall enjoyment of the game. Her coaching methodology is to simplify fundamentals and to focus on specific areas of the game to enhance pupils’ capabilities. 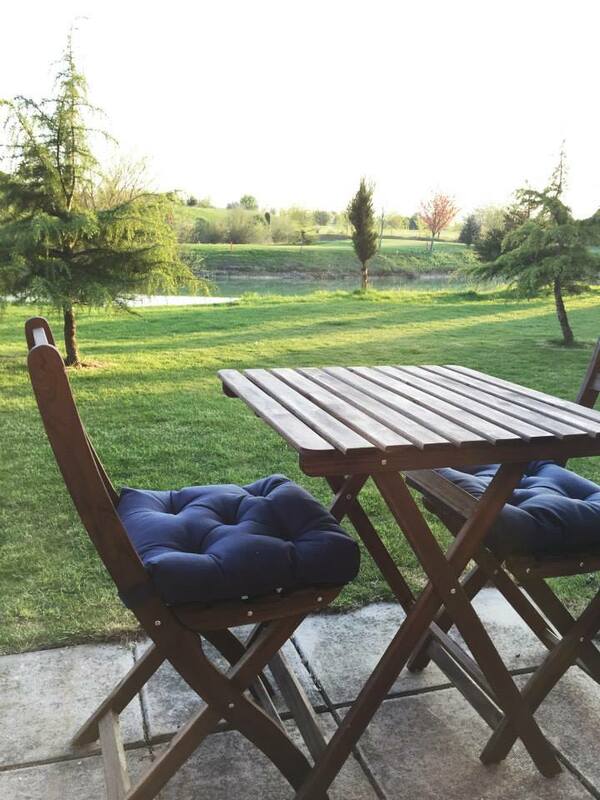 Arrive and settle in Digby’s Den, and then feel free to make use of the Coffee Cup in the golf clubhouse for lunch or enjoy your own prepared lunch whilst sitting in Digby’s gorgeous garden overlooking the lovely lake. Then later on, perhaps after a scenic walk in the beautiful surrounding countryside, explore the many restaurants in the neighbouring villages, or maybe grab a take away or just prepare your own evening meal at your leisure. You will now be familiar with your surroundings, so just decide whether to prepare your own breakfast or head for the Coffee Cup, which opens at 7am at weekends. 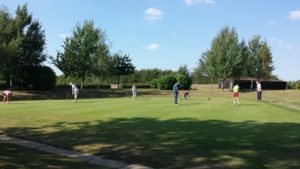 Thereafter, why not make good use of our fantastic facilities, as we also have a covered driving range, large putting green, Par 3 Pitch & Putt and FootGolf course. Again, decide whether to prepare your own breakfast or head for the Coffee Cup. You are free to stay another night at Digby’s Den if you choose to – latest time to vacate is Monday 10am. If you have a partner that likes to play golf (or wants to learn to play golf as well) then do ask for details of additional options. If you live local to us then you may not need to stay in Digby’s Den, so please ask for options and prices to suit you.